The Springs - River Run Village's most popular building. 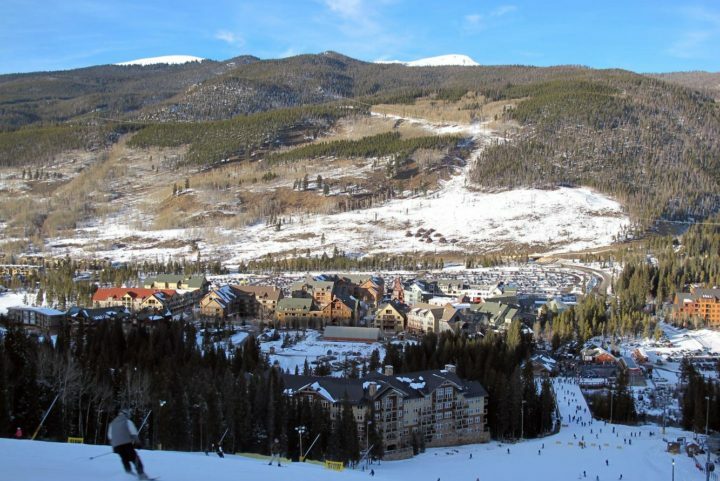 Close to the gondola. 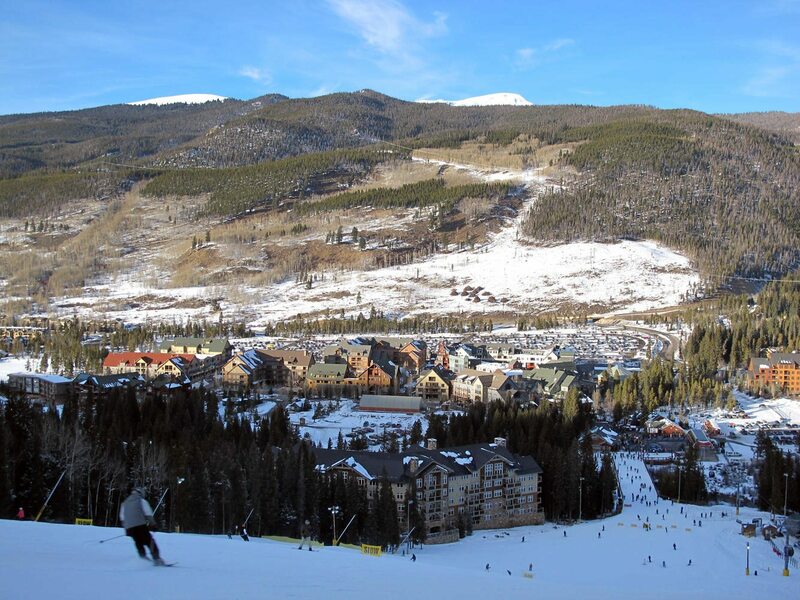 The Springs is at the bottom of this ski run (1 min. 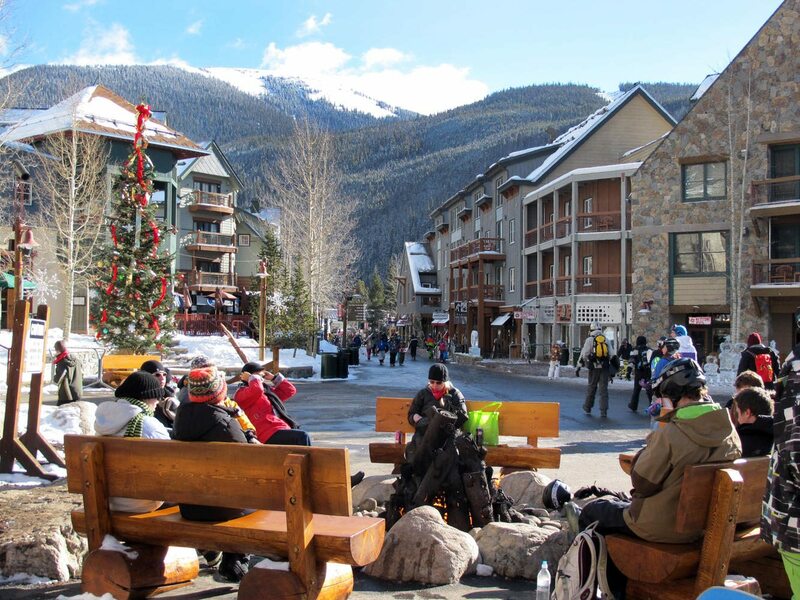 walk over to the gondola). 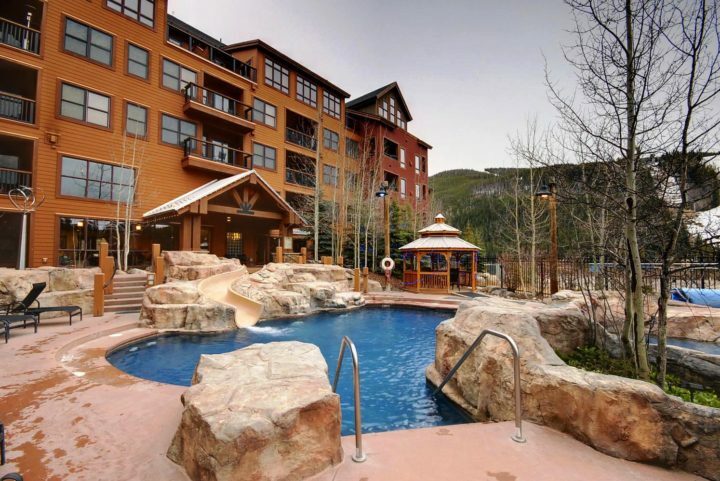 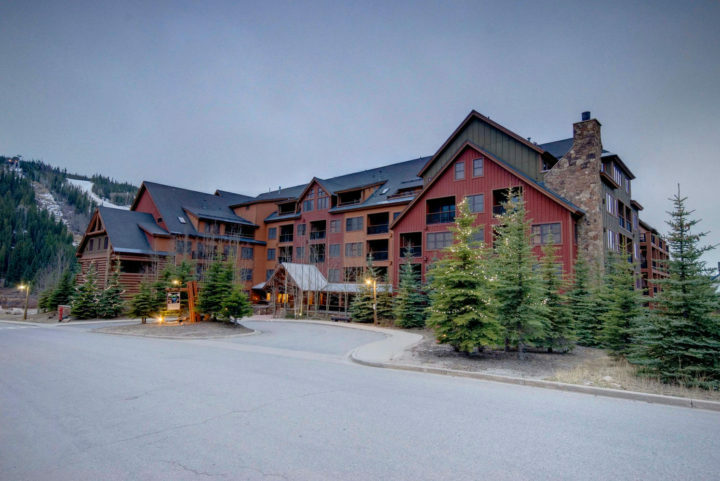 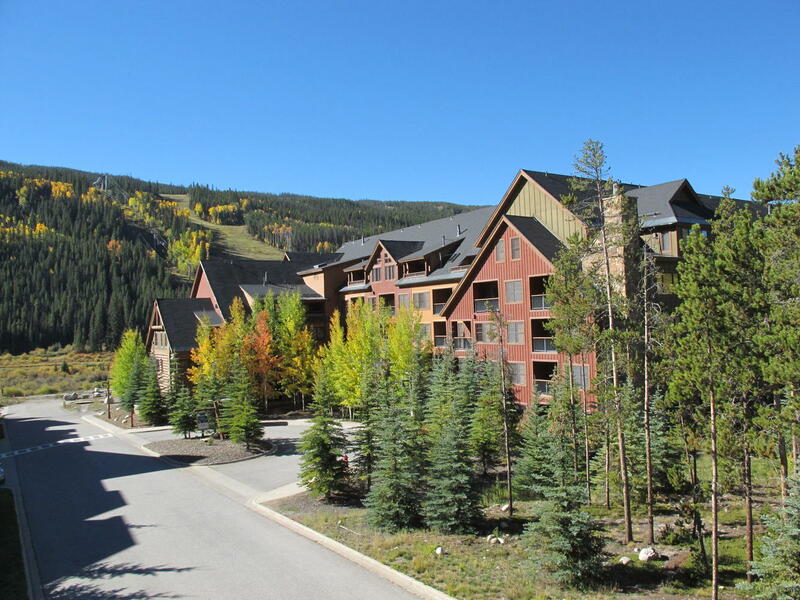 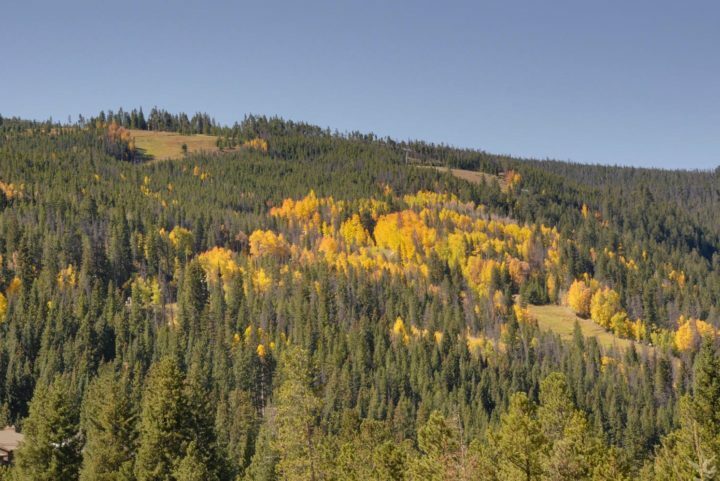 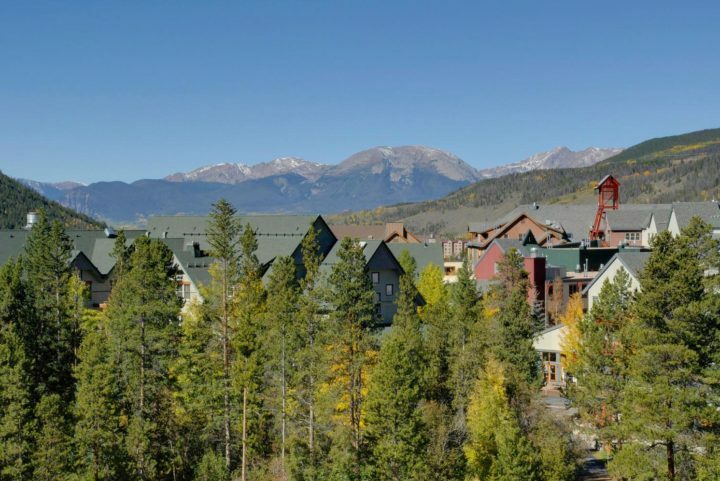 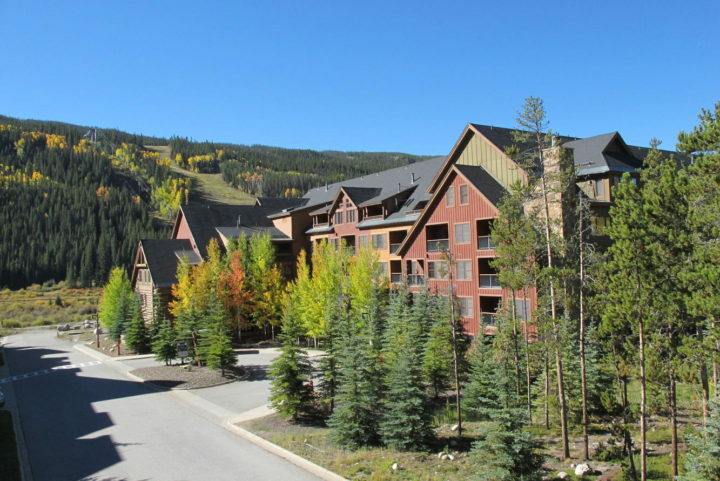 The Springs is on the east side of River Run Village, Keystone's premier location. Summer view of the pool area. 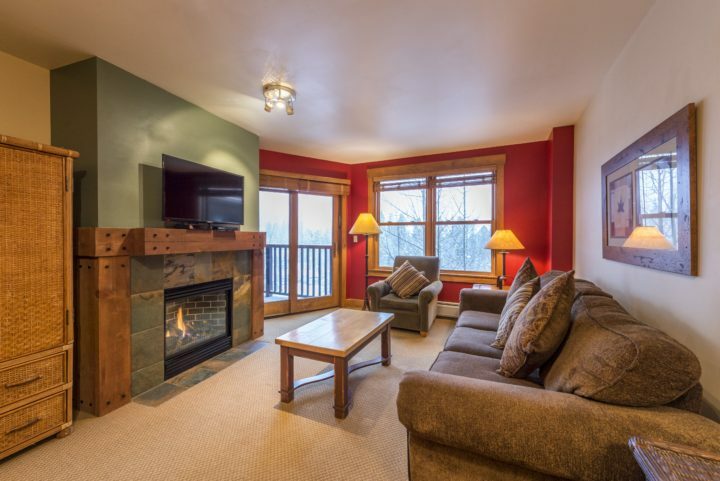 Living room has flat screen TV, fireplace, and private deck. View of the village and Gore Range from the private deck. Pool area at twilight; fire pit, BBQ area, etc. 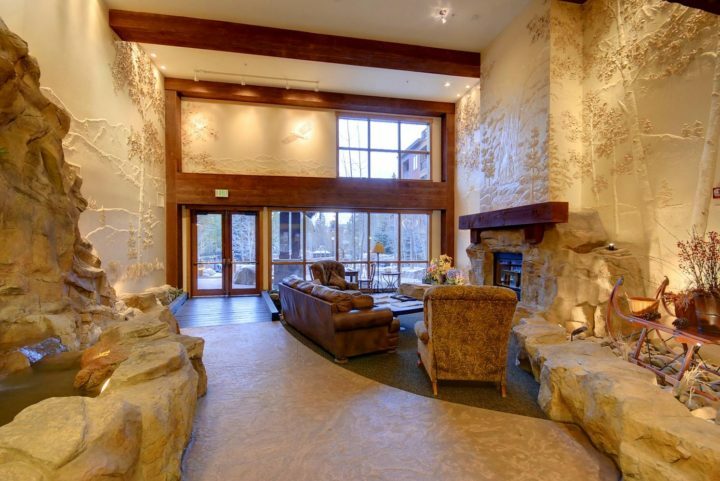 Large lobby with lounge area, fireplace, and water feature. 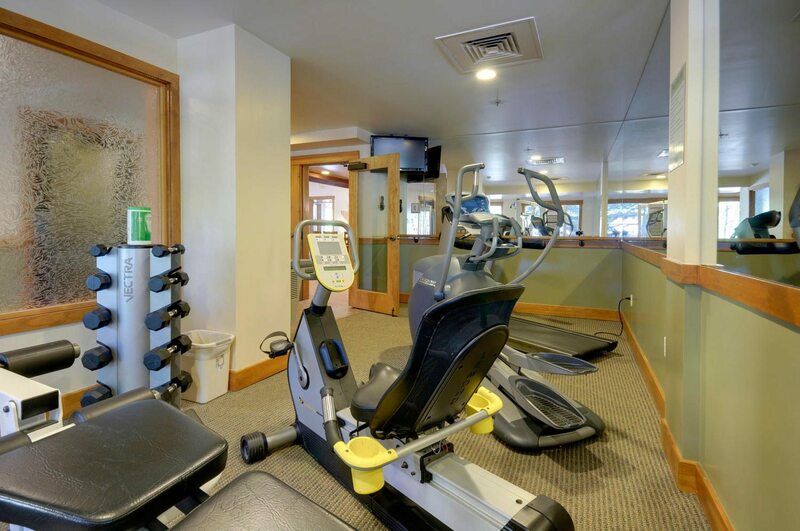 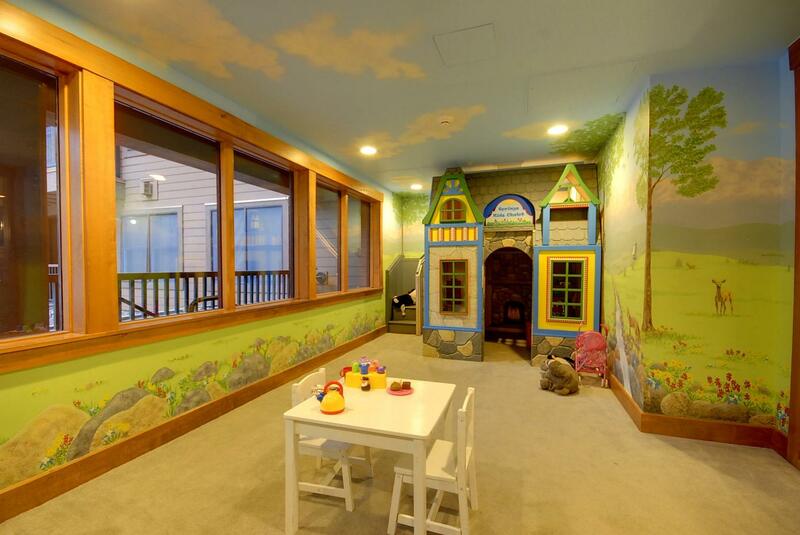 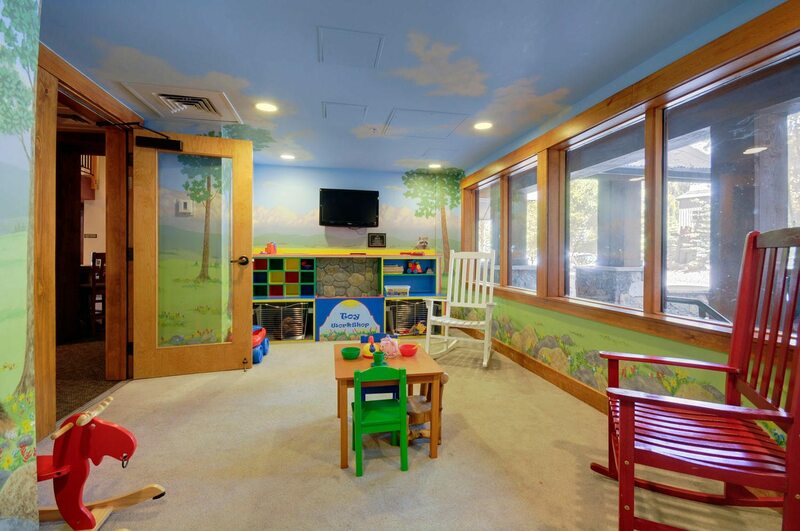 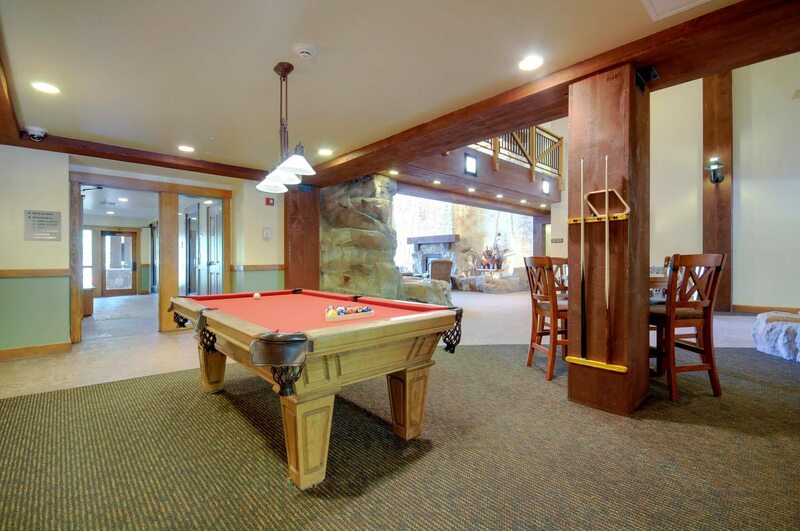 Lobby also has game room, kids play room, HDTV movie lounge, exercise facility, and steam sauna. 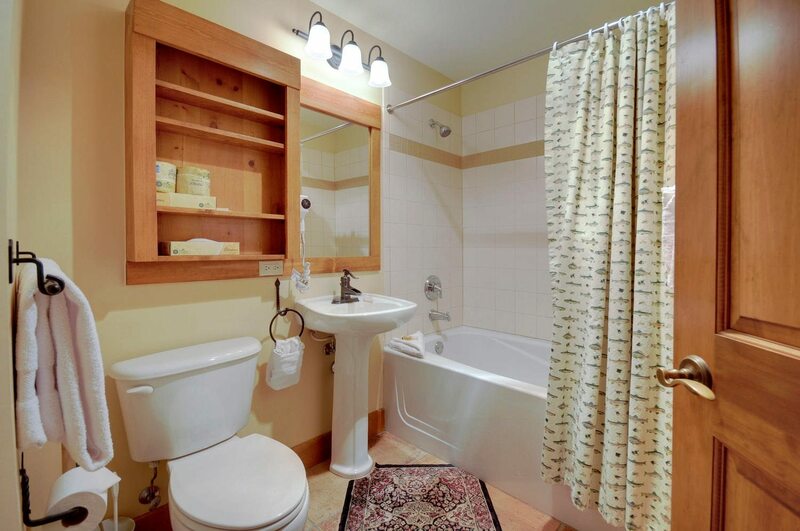 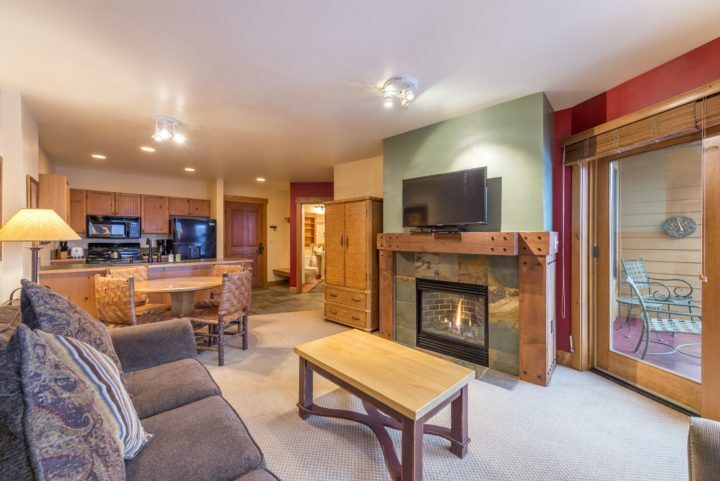 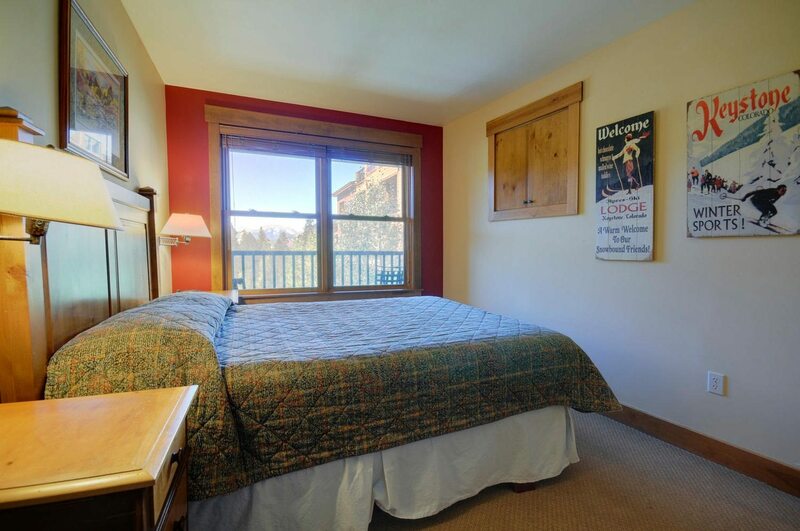 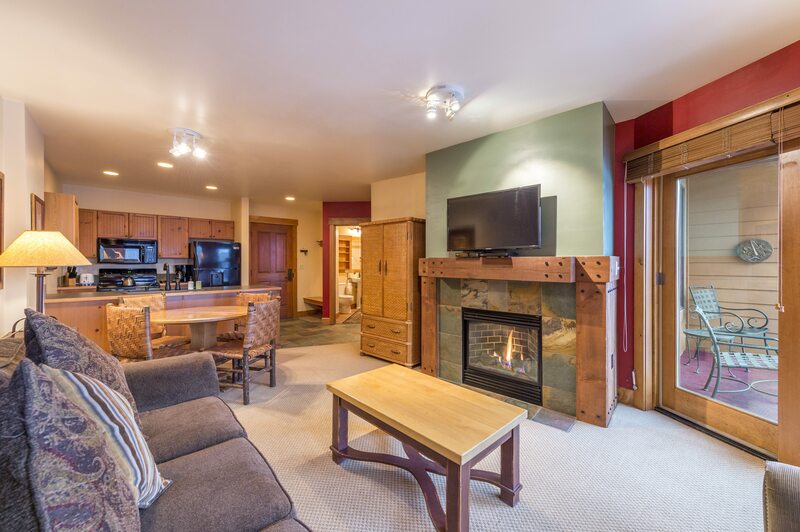 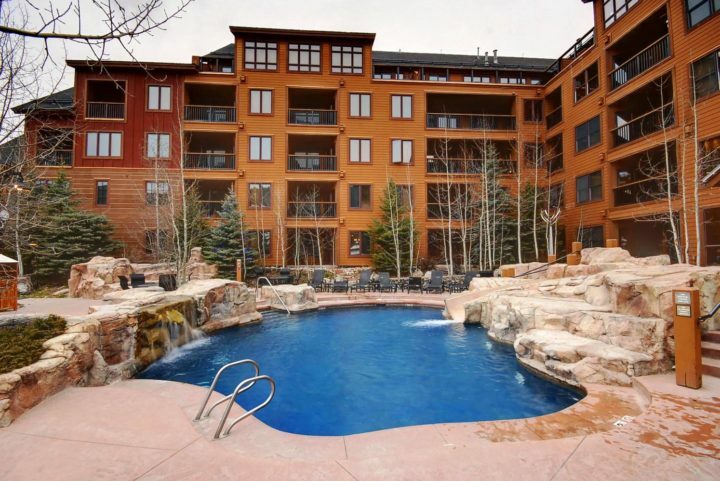 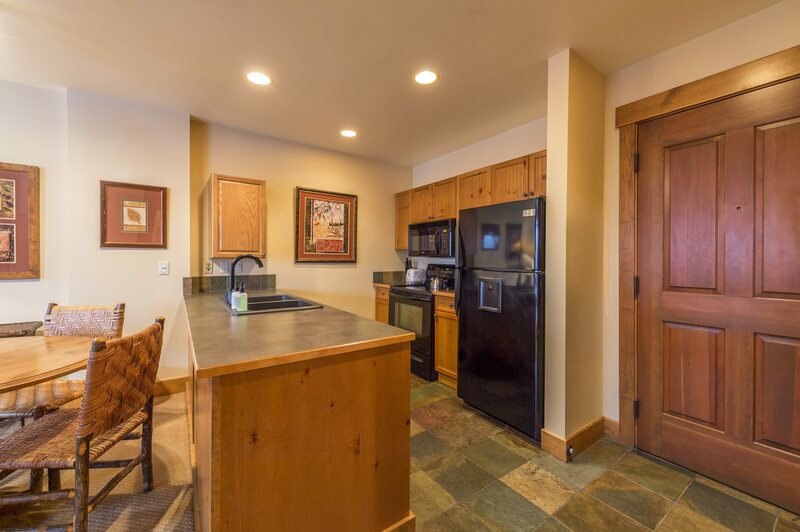 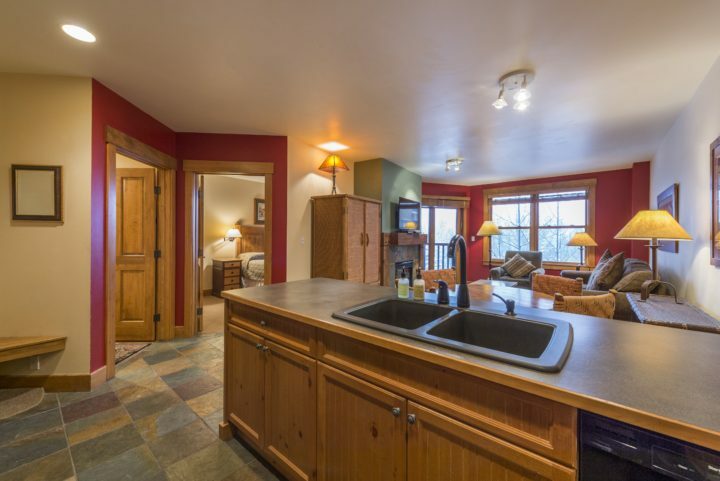 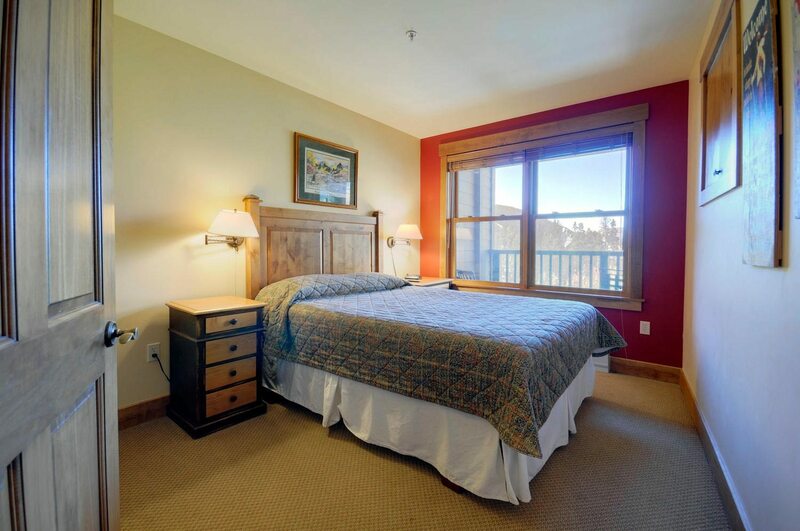 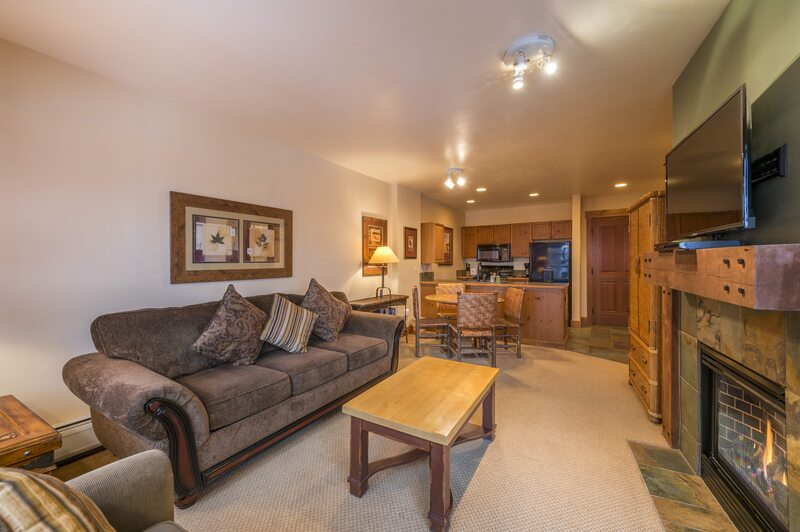 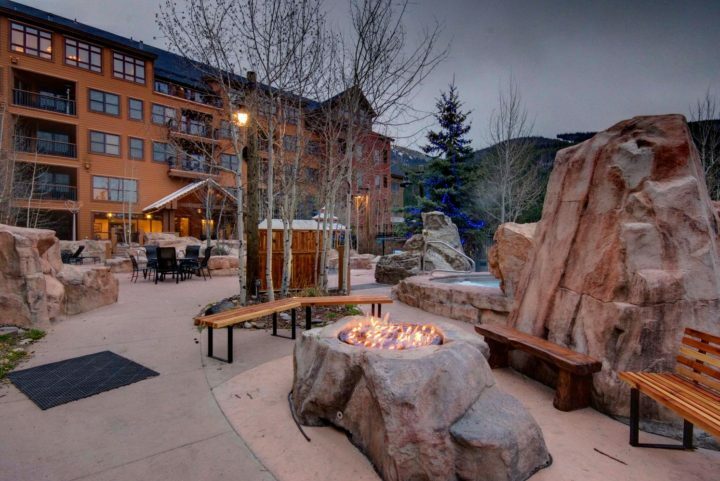 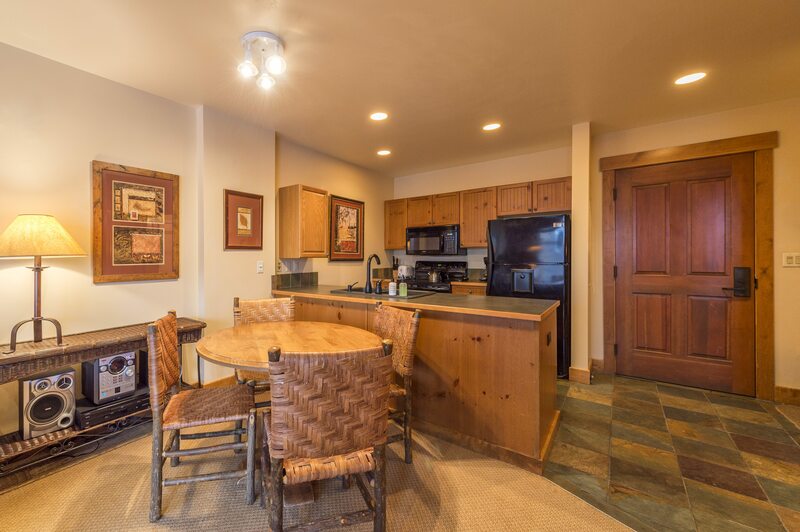 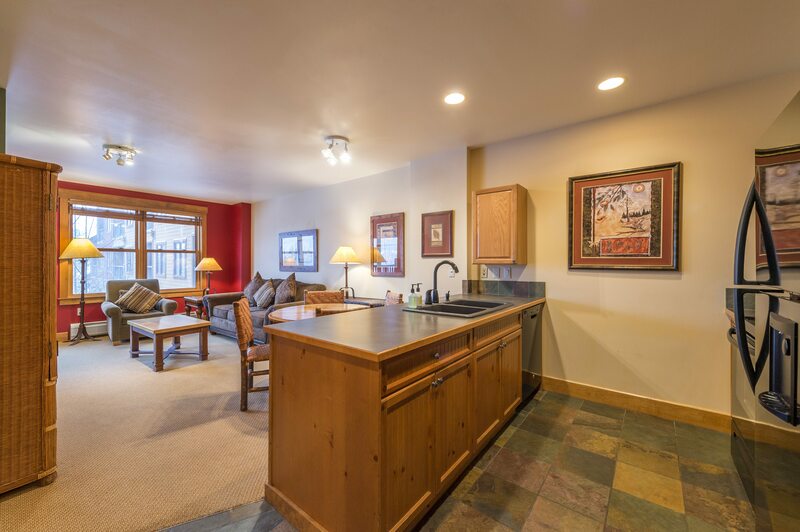 This 1BR/1 Bath ski condo is in River Run’s most popular building, The Springs. 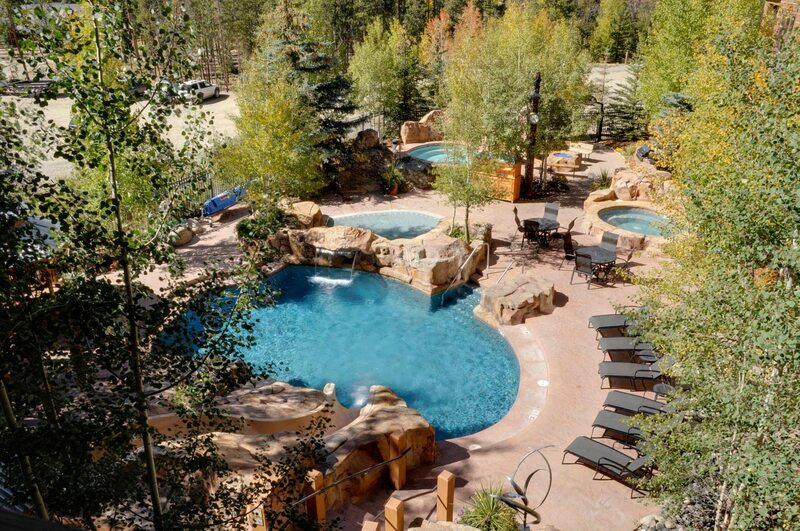 Panoramic view of the ski runs and building pool/hot tub area. 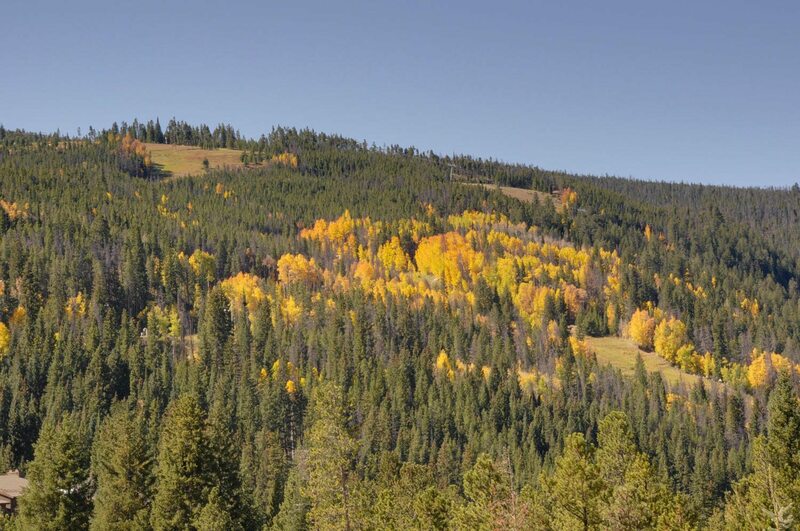 Closest location to the new River Run gondola (100 yards). 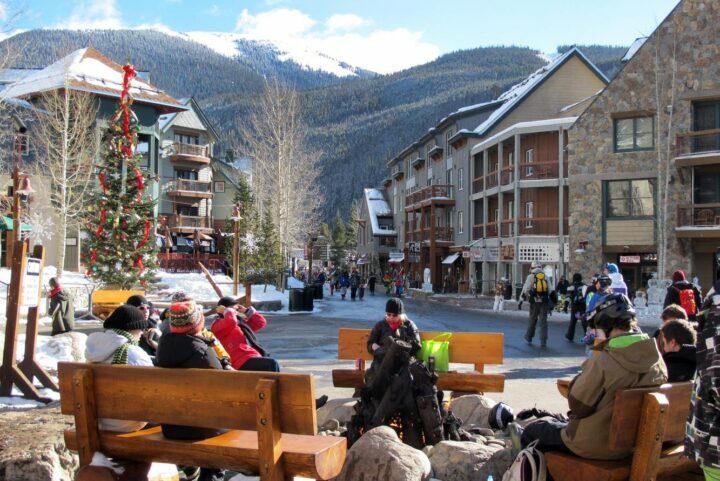 Walk to all the village shops, restaurants, and activities. 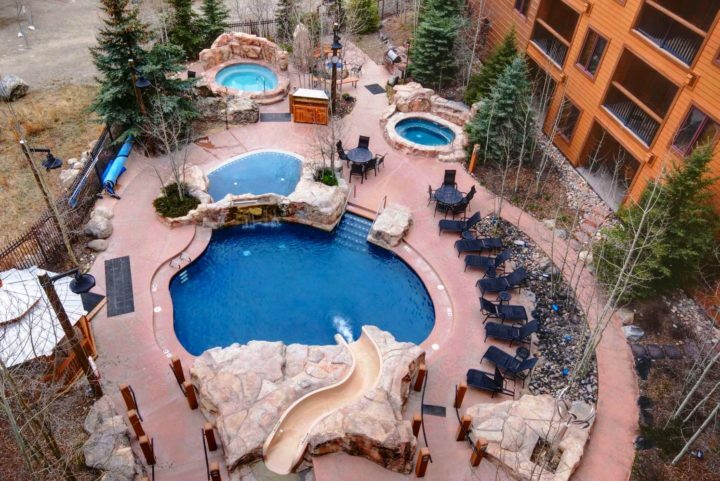 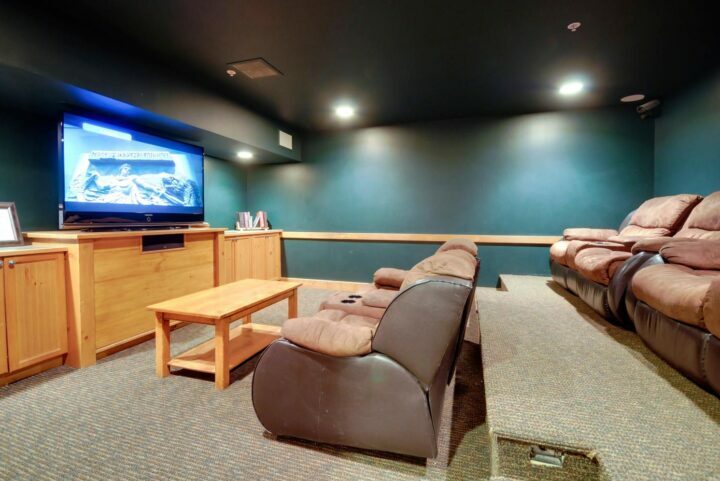 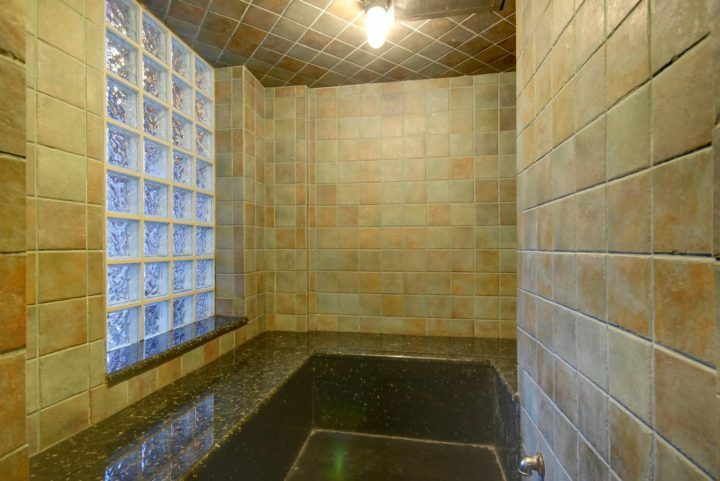 Building has heated outdoor pool (built-in kids water slide), 2 hot tubs, family BBQ area, game room with pool table, kids play room, big screen HDTV mini-theater, exercise facility, steam sauna, free underground parking (elevator service), and big lobby with lounge area (free newspapers), fireplace, and waterfall feature. 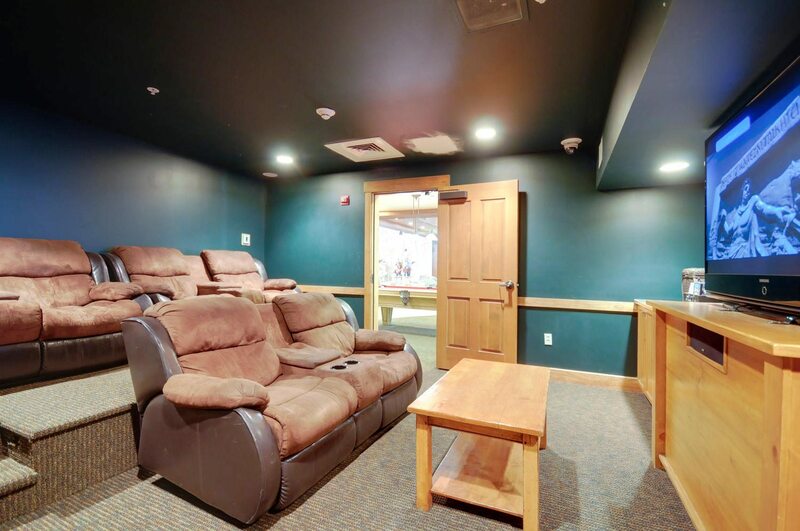 The unit also has a 6′ long portable twin futon (can be put in either room). Extra sheets and blankets are provided for both the Queen fold out and twin futon.